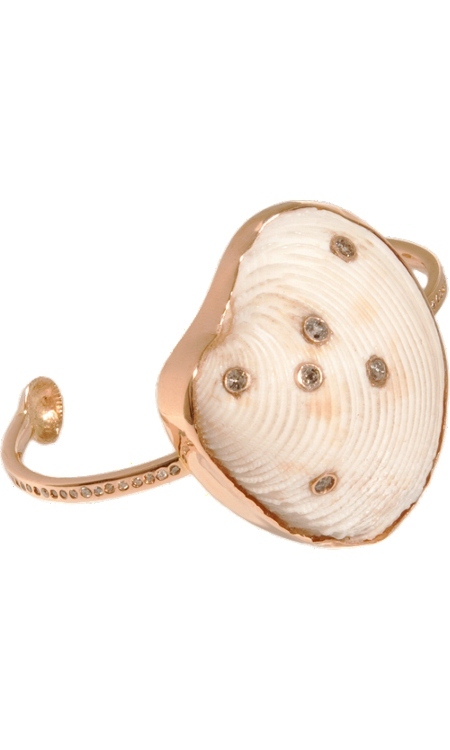 I know…I know…I recently featured Sara Beltran…but I HAD TO SHOW YOU THIS… Fossilized Shell with Diamonds!!! At $7,820 it is definitely out of my budget…OH WELL!!! My brain is spinning with possibilities…faux ivory, crystals…HMMMMMM!!!! Her site is worth a second look today…a terrific new collection of embellished braid bracelets. oh my goodness !!! this is incredible… i want this too!! !